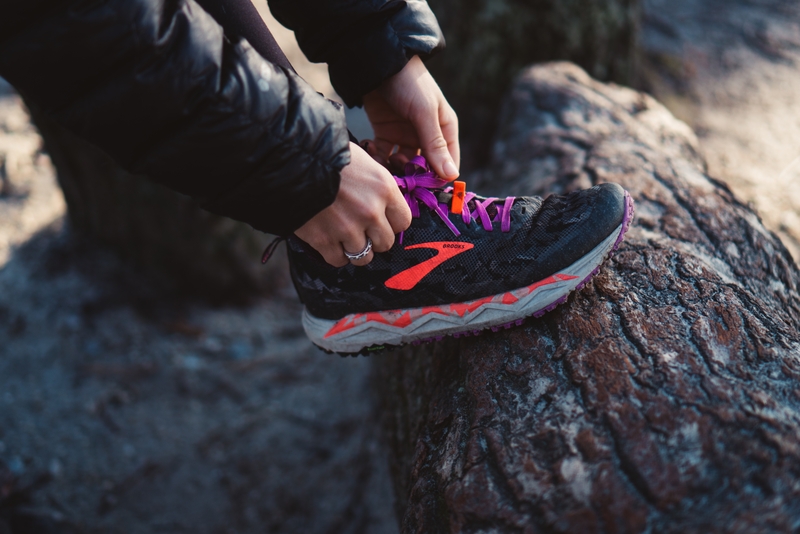 The Brooks Caldera trail runner is the lighter and more cushioned cousin of the classic Brooks Cascadia trail runner. I spotted the maximum cushioned Brooks Caldera in early 2017. Since then, I’ve worn the original Caldera, the Caldera 2, and now the Caldera 3. 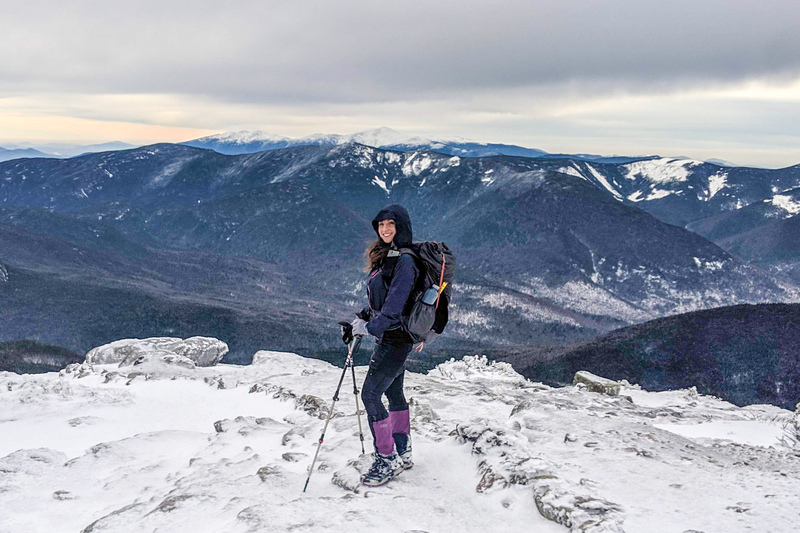 I spent 150 miles in Great Smoky Mountains National Park and 70 miles in the Adirondacks and the White Mountains testing the Caldera 3. I can say with confidence the Caldera 3 is the best iteration in the Caldera series. The Brooks Caldera 3 has several big improvements over its predecessor, the Caldera 2. Most notably, the new TrailTrek rubber sole assures the wearer that although light the Caldera 3 is indeed a true trail running shoe. The Caldera 3 has increased its stack height from previous iterations. This make the Caldera 3 feel like a true maximum cushioned shoe. It absorbs impact from technical trails, which is great, because the Caldera 3 does not have a rock plate. The Caldera 3 has a wider fit than the Caldera 2. The Caldera series has played around with the fit throughout its three iterations. The original Caldera was wide, the Caldera 2 more narrow, and the Caldera 3 is, in my opinion, just right. This is an intentional choice. To work the wider fit, the Caldera 3 have generous laces with a laces keeper on top of the shoe. These improvements are great. The Caldera 3 finally feels like a fully fledged trail runner with the best qualities of every iteration of the series. In addition, the Caldera 3 offers all the bells and whistles that hikers love. Gaiter attachments (toe and heels): Front gaiter attachment loop and rear Velcro attachment flap. I’ve used these both with light gaiters (like the ever-popular Dirty Girl Gaiters) As well as with waterproof gaiters. Both types of gatiers work surprisingly well with this lightweight shoe. Quick dry upper: The Ariaprene mesh upper supposedly repels water, but wasn’t successful in repelling any moisture in the 150 miles I wore the shoes through the notoriously wet Great Smoky Mountains National Park. I don’t care. I didn’t expect it to. What I was extremely impressed with was the draining and quick dry abilities of the shoe. I hiked the Meigs Creek Trail in Great Smoky Mountains National Park to test this. This trail has 18 creek crossings. The shoe was completely submerged 18 times and drained better than any shoe I’ve ever worn. Fit: Wide forefoot with excess laces for a tighter lacing (and a lace keeper for those extra laces). Brooks was listening to Caldera fans and reinstituted the wide fit of the original Caldera. Durability: The Brooks Caldera 3 feel light. They look light. I took one look at these shoes and thought “These aren’t going to last long!”. I was wrong. I was impressed when they survived 150 miles in the Great Smoky Mountains without a tear in the mesh upper. 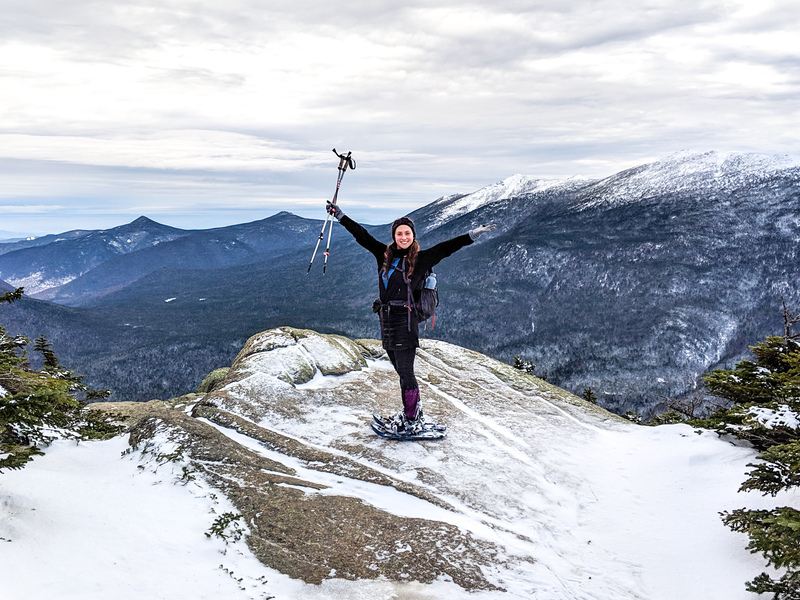 I am floored that they survived two 30+ mile days beneath microspikes and snowshoes in the Adirondacks of New York and the White Mountains of New Hampshire. Outsole: The Caldera 3’s outsole is much improved upon its predecessor. It has more bite and it lasts much longer. Although it is much improved, the Caldera 3 still needs an injection of true trail runner grit from the Cascadia. 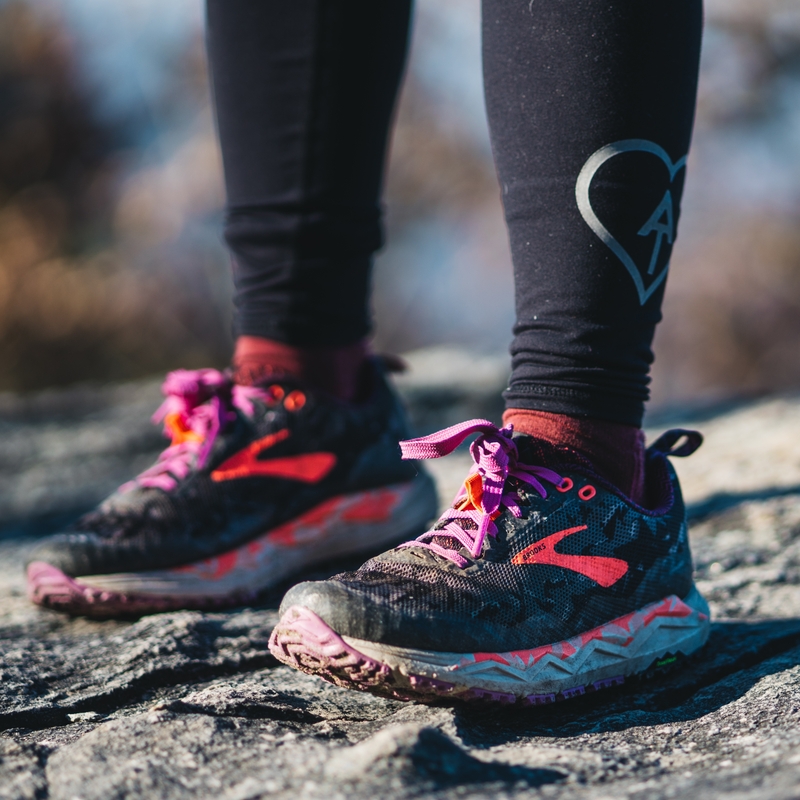 The Brooks Caldera 3’s are a perfect trail runner for those who love the Brooks fit but need a little more cushion in their step. For hikers or runners who like more cushion, a solid grip, and maximum water-shedding abilities, the Brooks Caldera 3 are the perfect shoe. I don’t know what the “UL” is. I loved the 1’s, but heard the 2’s were narrower. Is that the case with the 3’s? Also, when are these being released? I just asked about these at REI recently and they didn’t know.